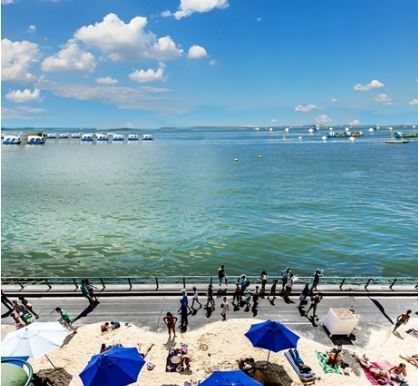 Seoul has delayed its Jamsu Bridge beach festival due to the wet weather. The festival, which was to be held from Friday to Sunday, will be postponed by two weeks. 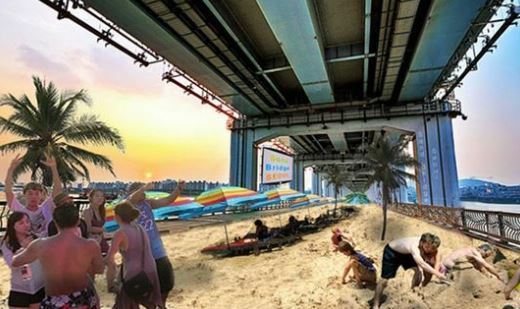 In a bid to create a summer vacation spot for citizens who cannot get away from the city, the city plans to turn the bridge into a beach-like playground from Aug. 11-13. The festival will feature attractions such as a 150-meter water slide, a sunbed zone and art performances. Participants can also play with sand as the bridge will be covered with 810 tons of sand. Jamsu Bridge, one of the busiest routes in Seoul, will be shut down for the three days.